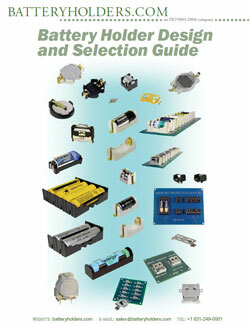 Memory Protection Devices, Inc. (MPD) New design guide for battery components for 2017.Design requirements for brackets, battery hardware, contacts, materials and coatings.Recisions for ERC (Reliable Contact), HFE (Human Factors Engineering), ANSI -IEC specifications, ventilation / gas absorption, battery contact stability, and more. Product development strategies for technical creators, engineers and non-technical entrepreneurs who want to produce new battery housings and / or contacts. Users of button cell, alkaline and carbon batteries will benefit from this guide. With so many new sizes, shapes and styles of batteries, designers now have more choice than ever before.